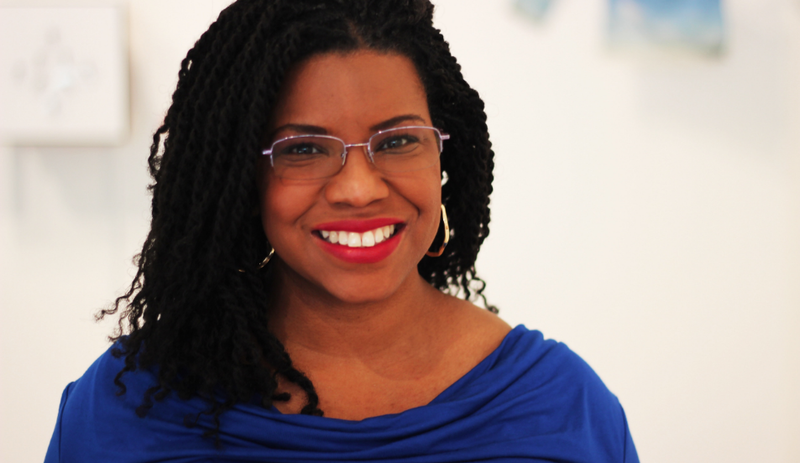 #OscarsSoWhite creator April Reign (@ReignOfApril) talks networking and sparking change through social media — michellcclark.com - More than what you came for. April Reign joined Twitter in 2010. Like many of us, she wasn’t entirely sure of the platform’s worth at first. That being said, she’s been incredibly impactful through use of the platform since then. Operating within Twitter’s 140 character limit, April sparked a national call for diversity via the #OscarsSoWhite hashtag, met Black Thought of The Roots, and built an interactive worldwide audience. April’s influence is a great example of how to refute the perspective of some who feel that Twitter has no real life relevance. Twitter can and does impact “real life” people, events, and trends. To get a better feel for the influence of how #OscarsSoWhite affected the dialogue around the event, check out this Hollywood Reporter article that documents industry conversation surrounding the topic and subsequent surge in minority nominations. Read on below to pick up April's perspective on networking, sparking change, and more. A lot of people seek to use social media for positive discussion and subsequent action. Not a lot of people create hashtags that are as impactful as #OscarsSoWhite. How do you so consistently create discussions that catch on so quickly? I don’t know. I don’t think anybody can predict or anticipate when a hashtag will go viral or take off. I think that there are some people who do it very intentionally. They want to start a hashtag around something specific. But I think most of it happens very organically. That’s the way the few hashtags I created that have been well received have grown. Before #OscarsSoWhite, I created #StopTheFight in 2014, when Trayvon Martin’s killer, whose name I don’t use, wanted to fight DMX for what was originally billed as a celebrity bout. The money was allegedly going to go to charity,. I just thought that was a bad idea for about 57 reasons. I created that hashtag purposefully, and after the outcry and a few other things that happened, the fight actually was cancelled. Sounds like being part of a Twitter community is definitely important if you want to actually be heard. Yeah, I’d agree. I’m on Twitter way more than I should be. All the time. I am a functional addict. I’ve been almost late to work, I’ve lost sleep. It’ll be 2AM, and I’ll tell myself I should go to bed, but the timeline will be popping off. Just being able to take the temperature of what’s going on in the community is helpful. You can’t just join and think that you can make things pop off for whatever cause or purpose you want to support. #OscarsSoWhite happened very organically. I was getting dressed for work, and I was dissatisfied with the number of nominees from traditionally under-represented communities. I had my phone in my hand, so of course I jumped on Twitter and the hashtag was created. Twitter is my community. That’s where I get my news from, make friends, continue relationships, and hang out. It’s a natural extension of my life at this point. Sign up for my #MakeEmailGreatAgain newsletter and receive a free E-book on "13 Ways To Become Purposefully Visible on Social Media"
Twitter almost feels like a double edged sword at some points. There are so many connections to be made and conversations to be sparked, but at the same time we spend so much time on there. If you could look back, would you have put all that time into over 300,000 tweets and counting? Truly, truly amazing. Things can happen so quickly on the platform. Absolutely. Twitter gets a bad rap. People say “it’s just twitter and things don’t translate into real life,” but that’s a bold faced lie. I met Black Thought from the Roots earlier this year because of Twitter. Last year I tweeted something to the effect of “I really want to go to the A Tribe Called Quest concert in New York.” Black Thought retweeted me and said “let’s make this happen for April.” One of his followers responded, “I’m not going, she can have my ticket.” I believe that was the last time that all four of them were seen together at an event, and I was there. All because of Twitter. I’ll just pretend that I‘m not jealous. An epic come up, and it definitely wouldn’t have happened on Facebook or Snapchat. Exactly. Facebook would have realized that a concert happened about a month later. Snapchat more current, but just doesn’t have the type of interaction that Twitter does. Twitter is my home base. Im incredibly thankful and humbled by everything that has happened because of that. Do you worry about what would happen to the connections and the audience that you’ve built for yourself on Twitter if the platform shut down, or became obsolete like Myspace? No, I cannot imagine it happening. I don’t believe that it will. Before I joined Twitter I didn’t why it mattered. Who cares about talking to celebrities? When I did join, I very quickly came to understand the power that it has. I don’t really have significant concerns about Twitter. I don’t see anything coming up slowly that would take it’s place. It’s nice to have a significant number of followers, because I haven’t had to google anything since 2013. I can ask any question and someone will respond with an answer, and links, and an example. That’s fantastic. I can’t imagine it not being around. I’m thankful now that I created the space and made the connections. I’ve made the connections offline, as well as online. There’s something about the community that I couldn’t imagine being replicated anywhere else. I’ve had the opportunity to visit Twitter headquarters a few times in New York. I call it the mothership. I asked about harassment of women of color online, and security, and the concerns they’re seeking to address as well. Based on those conversations, I feel cautiously optimistic that Twitter will be fine for the near future. What advice would you give to people who seek to use their social media platforms to create awareness and action around a particular cause? Craft your message well. Make sure your hashtag is succinct and easily understandable. Back up your message with facts, information and resources. #OscarsSoWhite just happened based on a reaction. I was being snarky, as I often am, but a few days later the conversation turned into something more serious about the lack of diversity and inclusion in the entertainment industry. I had to pivot and turn the hashtag into something more substantial. I had to get caught up to speed on the issue. One of the great things about #OscarsSoWhite is that I’m just a regular person who was upset with the way things looked and wanted to make a difference. I wasn’t some person sitting around a board of directors meeting talking about a strategic plan. I am a party of one. When #OscarsSoWhite took off in January 2015, I think I had about 12,000 followers. That’s a lot but, not significantly less than where I am now. My point being, if your message is good and you can back it up, people will listen and it will travel. You have to be prepared for what that will mean for you, and for your life. To stay up to date with everything April has going on, feel free to visit ReignOfApril.com.